Sometimes things don't always go to plan so we have to get a little inventive to help customers out. 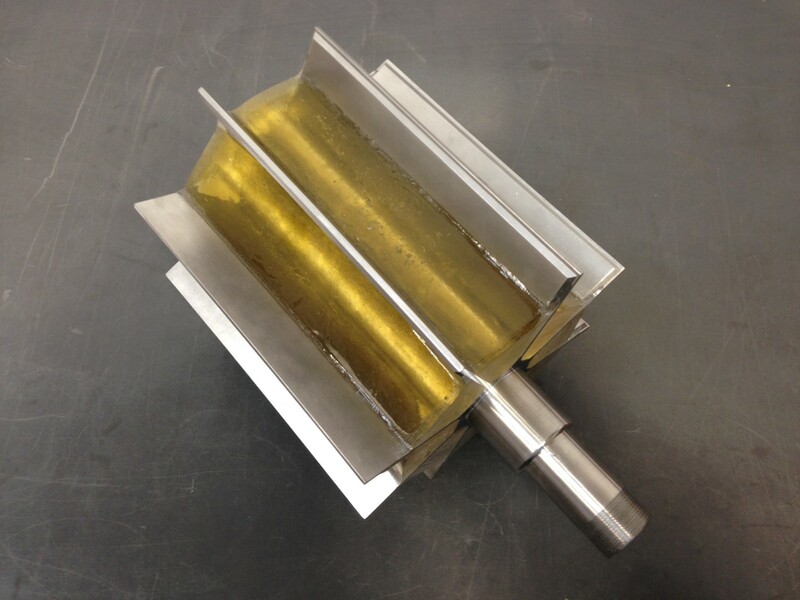 A pharmaceutical company ordered a quick clean rotary valve but the resulting throughput was too high. They didn't want to slow the valve down as the process would not cope with the "pulsing" effect so instead they asked if we could work out a way of reducing the volume of the rotor. To do this we used a suitable epoxy and cast it directly into the rotor pockets, reducing the volume by over 50%. The finish was smooth and ideal for the application with no crevices for product to get trapped in.